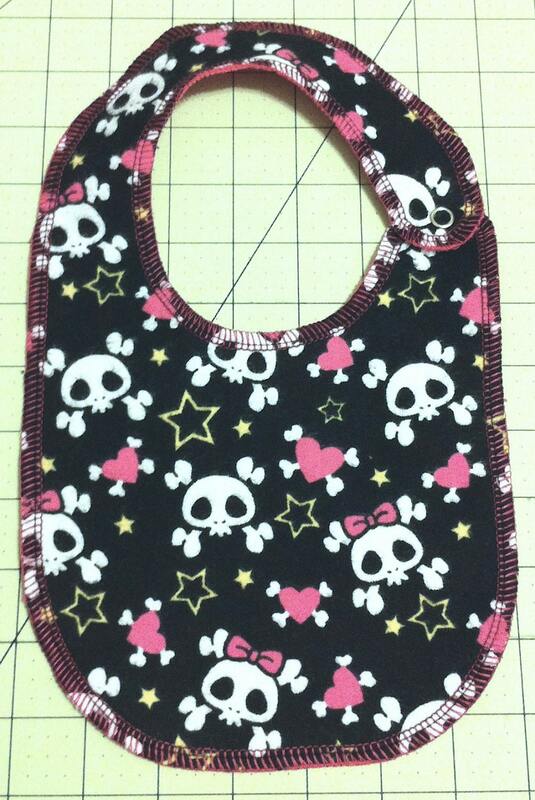 This is a infant - 6 month old bib (Approx.11" around for the neck) I have made the pattern myself to help achieve a more comfortable fit. The fabric is 100% flannel front and backing. 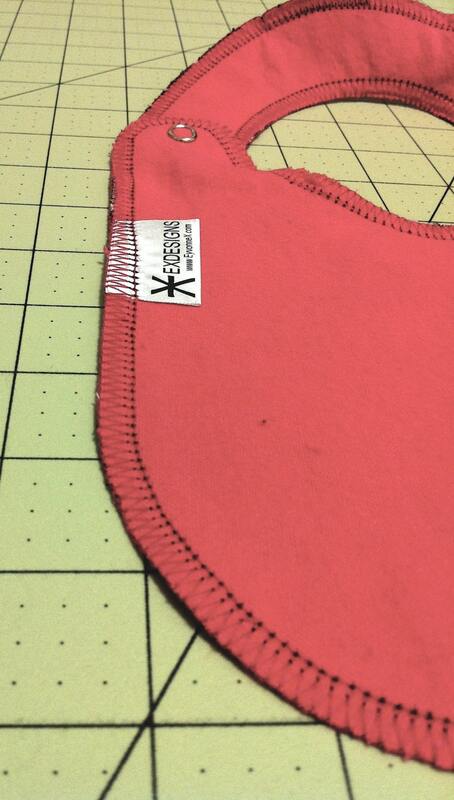 The outer edge is finished off with a 4 thread over-lock stitch, and a nickel snap fastener.